Stephanie is a fourth-year PhD student focusing her research in spatial identity development, place-based education and educational aspirations of first-gen Latix youth, under the broad area of Culture and Development; her advisor is Dr. Betsy Brenner. A Texas native, her M.A. research at UT San Antonio considered Black-Brown conflict and solidarity in urban borderscapes of East Houston. Prior to coming to UCSB, she worked in educational consulting in leadership development with youth and educational administration, as well as with parental engagement. She has volunteered for nearly two years at the St. George Youth Center, creating two murals with IV teens in Estero Park. This year, Stephanie is also the lead coordinator on Curie-osity Project, now in its third year. She has been a Teaching Assistant with the Department of Black Studies for over two years and is the current Unit Chair of the Academic Student Employees' union, UAW 2865. Stephanie can be reached at sarguera@ucsb.edu. Noreen Balos is a doctoral student with interests in STEM Education, Culture in STEM, and Access & Equity in STEM. Noreen is currently researching engineering and science design experiences for undergraduate, community college minority students and veterans who major in STEM related subjects and wish to explore a civil career in the Navy. The goal of the study is to provide insights into veterans' and students' perceptions of science and engineering as a way of thinking and being into a STEM major and professional, while gauging transformations in student thinking, understanding, and perceiving Naval work. The team hope the work also gives insight into factors affecting veterans' and minority students' preparation, participation and academic success in STEM. Noreen can be reached at Noreen.Balos@ucsb.edu. Keri Bradford (Choctaw Nation of Oklahoma) is a third-year M.A./Ph.D. student in the Department of Education, working in the areas of Culture and Development, and Policy, Leadership, and Research Methods. Her advisors are Dr. Sharon Conley and Dr. Hsiu-Zu Ho. Her research focuses on issues of access and retention affecting Native American college students. In 2011, she completed a certificate in Tribal Law ("Working in Contemporary Native Nations") from UCLA. Keri can be reached by email at kbradford@education.ucsb.edu. Delwin Carter is a doctoral student emphasizing in quantitative methods. His advisor is Karen Nylund-Gibson. He received his B.A. in Psychology and M.A. in Experimental Psychology at California State University, Northridge. His broad interests include latent variable analysis, measurement, and structural equation modeling. More specifically, he has done research in several substantive areas including peer victimization, perceived discrimination, and depression. Methodologically speaking, his current research involves mediation/moderation, factor analysis, measurement invariance, and item-order effects. Diana Chagolla is a doctoral student in the Gevirtz Graduate School of Education, specializing in the area of Culture and Development; her advisor is Dr. Laura Romo. Diana obtained her bachelors degree in Sociology from San Diego State University (SDSU). While in San Diego, she worked with community-led organizations to address educational and human rights concerns in her community. 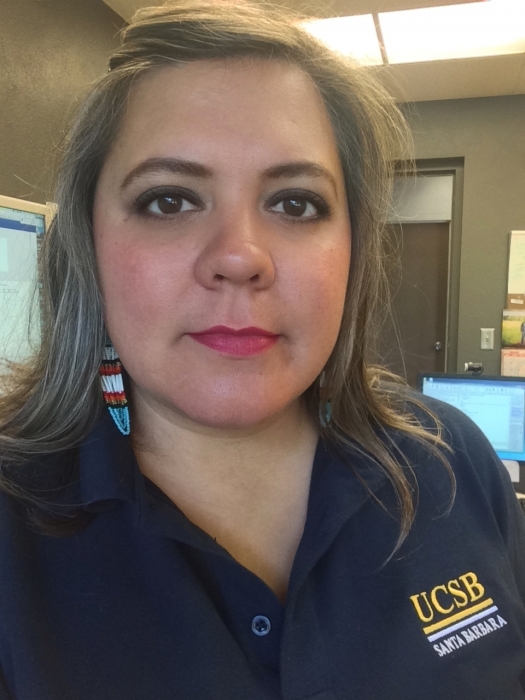 At UCSB, she has served as a graduate mentor for first generation undergraduate students participating in the New Heights Mentoring Program offered through the Chicano Studies Institute (CSI). Diana continues to mentor undergraduate students via her role as a graduate student research assistant at the CSI Center for Research in Latino Health and Adolescent Development. Her research interests are health education and health psychology as it pertains to Latinx/a/o adolescents, families, and communities. Her current research focuses on how Latina mothers communicate with adolescent daughters about healthy lifestyles, while providing messages that encourage healthier eating and exercising habits, and messages cautioning daughters about chronic health diseases. Diana can be reached at: diana_chagolla@ucsb.edu. Anthony Clairmont is a doctoral student with an emphasis in Applied Linguistics working with Dr. Jin Sook Lee. He received his BA in philosophy from Sewanee: The University of the South in 2011. A year later, he earned an MA in French from Middlebury College. While living abroad during much of this period, he conducted anthropological research with the School for International Training in Rabat, Morocco and studied philosophy at La Sorbonne in Paris, France. He returned to the US to teach French at an all-boys prep school in Cleveland, Ohio. His research interests include culturally sustaining pedagogy, teacher professionalism, systemic educational inequalities, and philosophical issues in the social sciences. You may contact Anthony at: clairmont@education.ucsb.edu. Michael is a second-year doctoral student in the Culture and Development program with an emphasis in Cognitive Science. His advisor is Sharon Conley. Michael earned his B.S. in elementary education and his M.S. in special education, both from Manhattan College, and spent 5 years as a classroom teacher in the Boston area. His research interests include teacher education and teacher perceptions, as well as improvement science. He can be reached at mdannhauser@ucsb.edu. Jeremy Edwards is a Ph.D. student in Education with an emphasis in Culture and Development. In 2017, he received a Master of Arts in Education, during which he conducted a case study analysis on a university-based academic preparation program in an effort to better understand program sustainability, especially when examining the delivery of college-going services and established relationships between the program and secondary schools being served. In addition to his prior research on university partnerships with local schools, his current work involves capturing the cultural and historical practices of access to higher education for black students in a U.S. context, while also highlighting and providing a narrative for students' experiences in their preparations for the completion of college. His general research interests include access and equity issues within a socio-educational context, urban education, adolescent youth development and self-concept, and community cultural wealth/capital frameworks. Jeremy can be reached at jedwards@education.ucsb.edu. Tom is a first-year doctoral student. Immediately prior to attending UCSB, he taught bilingual Science for 3 years at a social-mission school in Mexico. Ekman is the co-author of Babies of Technology: Assisted Reproduction and the Rights of the Child (Yale University Press, 2017) He holds an M.Ed. in Secondary School Science Instruction from Hawaii Pacific University, a J.D. with certification in Public Interest Law from The University of San Francisco School of Law, and a B.A. from Williams College. Earlier in his career, he was an Environmental Planner II and Director of Content Development for National Geographic Maps Technology Division. His research interests are in technology, environmental education, bilingualism, free-choice learning, access to education, and systemic interventions. Tom can be reached at tomekman@ucsb.edu. Emily is a doctoral student studying Special Education under the guidance of her advisor, Dr. George Singer. She also works at Antioch University, Santa Barbara, in the teacher credentialing program, where she teaches special education courses for multiple subject and dual credential candidates. Prior to her doctoral studies, Emily taught special education at the elementary level in east San Jose and Santa Barbara, California. She holds a Mild/Moderate Education Specialist Credential. Emily's research focuses on how general education and special education teachers can be taught to collaborate more fully. She plans to investigate this topic in her dissertation research. She can be reached at ekbernstein@ucsb.edu. Jim is a doctoral student with an emphasis in technology at the elementary school level. His advisor is Dr. Danielle Harlow. He is interested in researching the impact computer coding has on the communication skills of children with autism. 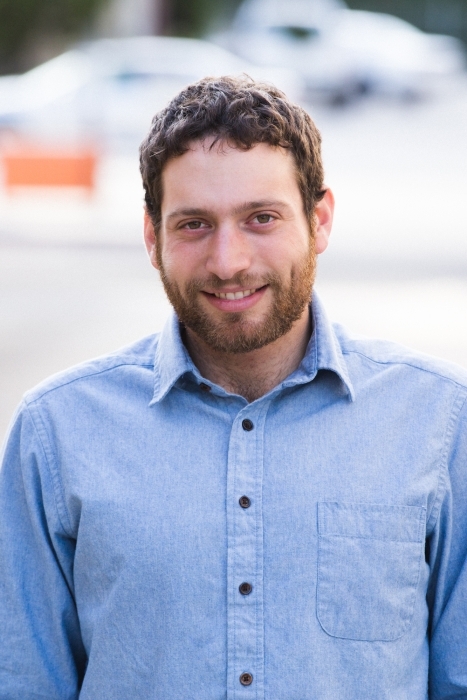 Prior to arriving at UCSB he was a Kindergarten teacher with TeachForAmerica in Charlotte, a founding 2nd grade teacher at an environmental start-up school in Chicago, technology coordinator and teacher at an IB PYP school in London and a 2nd grade Science and Coding teacher in San Francisco. He wrote the programming curriculum (based on Scratch language) for a school founded by the Chief Scientist of Twitter and founded a company dedicated to teaching children how to code in after-school and one-on-one contexts. Jim taught teachers how to code in the Design Lab at the Sonoma County Office of Education. He earned a B.A. in Psychology at Marquette University, an elementary teaching credential at the University of North Carolina-Charlotte and an M.Ed. at San Francisco State University. Feel free to email Jim at: jgribble@education.ucsb.edu. Ana Y. Guerrero was born in Mexico and raised in Goleta, CA. She is a PhD student in the UCSB Department of Education, conducting research on Latinx students' college and career aspiration development. She received her Bachelor's Degree in Sociology from UC Berkeley and a Master's degree in Education with an emphasis in Culture and Development from UC Santa Barbara. Currently, Ana is the Graduate Student Mentor/Program Assistant for the ONDAS Student Center as part of the Title V grant to UCSB as a Hispanic Serving Institution, and a TA for the ED 118 course, The Research University and the Transfer Student Experience. She is an active member of the Bridging Multiple Worlds Alliance, bringing together grad students and faculty from several universitits to plan and conduct research on P-20 strategies improving access to college among communities underrepresented in higher education. Her research interests include academic and career identity development, Hispanic Serving Institutions, multicultural education and general Latinx and first-generation to college student concerns in higher education. Ana has also worked with the youth in her community for many years in college preparation and leadership programs. You can reach Ana at the following email address: guerrero@education.ucsb.edu. Samantha is a doctoral student in the Language and Literacy Education program. She studied English Literature at the University of Maryland in College Park (B.A.) and Linguistics with a focus on TESOL at Georgetown University in Washington D.C. (M.A.) She was an ESL instructor at Baltimore/Washington area community colleges for three years before coming to UCSB. Her research interests include equitable education for English Language Learners and Heritage Language maintenance. She is currently working as an instructor for the School Kids Investigating Language in Life and Society Program (SKILLS). 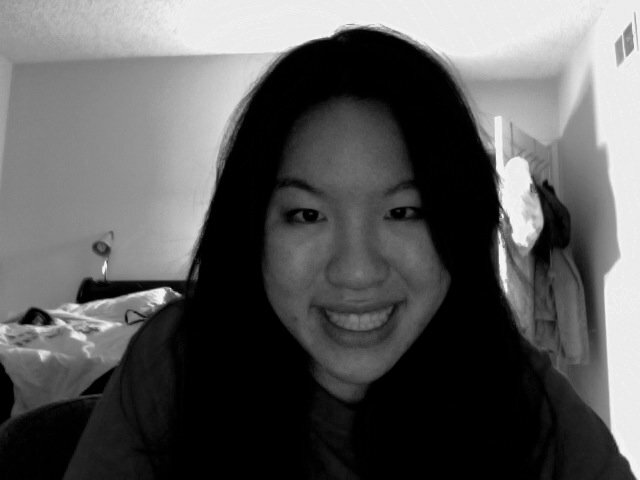 She is also working on a project that examines heritage language learning and multiracial Korean Americans. Samantha can be reached at syharris@ucsb.edu. Destiny is a doctoral student in the Special Education, Developmental, and Risk Studies program. With a strong background in working with children with autism and related disorders, both as a para-educator and behavioral therapist, and with an undergraduate degree in Psychology from California State University, Channel Islands, Destiny is interested in improving parent/caregive education and interaction with children with disabilities by further developing and improving current evidence-based therapeutic intervention practices. Additionally, Destiny is interested in exploring the neurodiversity that may exist between typical and atypical children to better support and foster their ability to acquire and maintain more desirable social and academic skills. Destiny is currently working under the advisory of Dr. George Singer, and may be reached at dhoerberg@ucsb.edu. Faith is a first year doctoral student with research interests in science education, working with Dr. Diana Arya and Dr. Julie Bianchini. She received an undergraduate degree in biology from the University of Minnesota, Twin Cities. Her major research interest is the effective and engaging pedagogical approach in competitive society, or learning environment. She would like to study further how collaborative engagement and interactions in a science classroom enhance student learning. Another significant interest is research on designing curriculum for the collaboratibve work of students, considering individual differences, that would further enrich their learning. Faith can be reached at hhyun@ucsb.edu. Raheem is a second year PhD student in the department of education with a concentration on Culture and Development. His research will look at college decision-making among African American high school students and analyze the factors that make them choose between a Predominantly White Institution (PWI) and a Historically Black College or University. Raheem graduated from Morehouse College in 2017 and he uses his experience of Black education to pursue his passion and ensure Black students receive the best education and experience a school has to offer. Kelsee Kennedy is a fourth year doctoral candidate in the Department of Education with an emphasis in Special Education, Disabilities, and Risk Studies (SPEDR). She received a bachelors degree from UCSB in Psychology in 2011 as well as an Education Specialist Instruction Credential for individuals with exceptionalities who have moderate to severe support needs and a Master of Arts in Education with an emphasis in SPEDR in 2013. In 2015, she completed an Education Specialist Instruction Credential for individuals with exceptionalities who have mild to moderate support needs at Antioch University, Santa Barbara. Currently, she works as an Education Specialist for a full inclusion program for exceptional students, a teaching assistant for the Language Arts course in the Teacher Education Program at UCSB, and a Cooperating Teacher at Antioch University. Her past applied experiences include working as a Behaviorist in school settings for Hope School District, a Program Supervisor and Researcher at the Koegel Autism Clinic, and a Reading Instructor for English Language Learners at the McEnroe Reading Clinic at UC Santa Barbara. Her research interests include: Autism, Emotional Disturbance, Multi-Tiered Systems of Support for Behavior/Character Development, Social Emotional Learning, Restorative Justice Discipline, Teacher Education, and the Pipeline to Prison phenomenon for students with exceptionalities. Please feel free to contact her at kkennedy@education.ucsb.edu. Jacob Kirksey is a PhD candidate in the Department of Education and a graduate research fellow with the National Science Foundation. At the heart of his research are the questions: Who is left out of consideration of mainstream education policy? What are the consequences? What can we do about it? Drawing from various perspectives and interdisciplinary frameworks in educational policy, Jacob's research examines unintended consequences in educational policy and focuses on frequently forgotten populations. Specifically, his research has examined whether general education teachers are prepared to teach in inclusive classrooms, how to best prepare people with disabilities to succeed in STEM, and the determinants and consequences of chronic absenteeism and truancy in K-12. Previously, Jacob taught drama in a small school district and served on the school board for a charter school in the Pikes Peak Region. You can follow Jacob on Twitter @jjacobkirksey or by visiting his website: www.jjacobkirksey.com. His email is jkirksey@education.ucsb.edu. Ann Wai-Yee Kwong is a Ph.D. student in the education program with the emphasis of Special Education, Disabilities, and Risk Studies advised by Dr. Wang. She received her B.A. in Psychology and a minor in Education from UC Berkeley as a Gates Millennium scholar. Prior to her attendance at UC Santa Barbara, she worked as an education technician intern in Washington DC disaggregating student suicidality data and analyzing its negative impact on both student and school excellence. Ann testified at the U.S. Senate hearing in 2014 to advocate for herself and others, informing policy makers of the attitudinal and tangible societal barriers which limit the potentials of people with disabilities. Her research interests include: creation of innovative workforce development curriculum for transition age youth with disabilities, self-determination, and cultural implications of professional and family partnerships. She is currently collaborating with UCP Work Inc. on designing and implementing curricula to increase competitive integrated employment for individuals with disabilities and their families; she recently concluded a project with the Institute for Educational Leadership (IEL) on implications of cultural reciprocity with the implementation of the Workforce Innovation and Opportunity Act and pre-employment transition services. In addition, Ann co-founded Survive or Thrive where she designs and facilitates workshops as well as mentors youth with disabilities and their families. In a professional capacity, she also serves on various boards including the California Department of Rehabilitation's Advisory Committee and the Association on Higher Education and Disability. Through her research and advocacy, Ann hopes to continue empowering others to envision, define, and achieve their future aspirations. She can be reached at: akwong@education.ucsb.edu. Tatzia Langlo is a PhD Candidate in the Department of Education in the research focus area of Cultural Perspectives and Comparative Education, working with Professor Jenny Cook-Gumperz and Dr. Tine Sloan as her advisors. Langlo’s research interests reach into the development of global learning-teaching communities and the need for increased communication, cultural awareness, and contextual competencies involved with interacting as citizens on the stage of the global world. As a scholar and researcher she works with a non-profit organization based on principles and practices of civil participation, service-learning, and education assistance through development of local and global relationships. She maintains interdisciplinary Ph.D. emphases in Global Studies and Language, Interaction, and Social Organization. Yixin Lin is a doctoral student with an emphasis in Special Education working with Dr. Mian Wang. She received her B.A. in Business Administration from Southwestern University of Finance and Economics in China. In the meantime, she worked as a volunteer teacher in a special education school for three years. Then she received an M.S. from Columbia University in Social Work. During her graduate study, she also worked as an intern in Hamilton-Madison House Childcare Center and the Association to Benefit Children in New York. Her research interests include: autism ,developmental delay, inclusive education in both United States and China, and cross-cultural special education. Though her research interests are relatively broad, she is currently involved in research about an autism app design with her advisor. Her longer term research purpose is to further study on inclusive education of children with autism and developmental delay. Yixin can be reached at yixinlin@umail.ucsb.edu. Mandy McLean is currently finishing up her doctoral studies at UCSB in STEM Education, with an emphasis in quantitative methods in social sciences. Her current research focuses on gender equity in engineering and her background spans mechanical engineering, earth science, and high school teaching. Mandy can be reached at amclean@ucsb.edu. Valerie Meier is an Education doctoral student working with Dr. Jin Sook Lee. She holds a BA and BFA from Tufts University, an MA in Composition from San Francisco State University, and an MA in Second Language Studies from the University of Hawaiʻi at Manoa. In addition to having taught a wide range of reading and writing classes at US universities, she has also taught English in Japan and Laos. Her research interests broadly include academic literacies, second language acquisition, and language-in-education policies; her current focus is on better understanding how teachers can capitalize on their students’ bilingual resources in order to promote the acquisition of academic literacies in one or more languages. You can contact Valerie at vmeier@education.ucsb.edu. Lindsey is a third-year doctoral student in the Department of Education specializing in Culture and Development. Lindsey's research interests lie within Language and Literacy. She attained her Bachelor's Degree in Art History with a minor in Education. 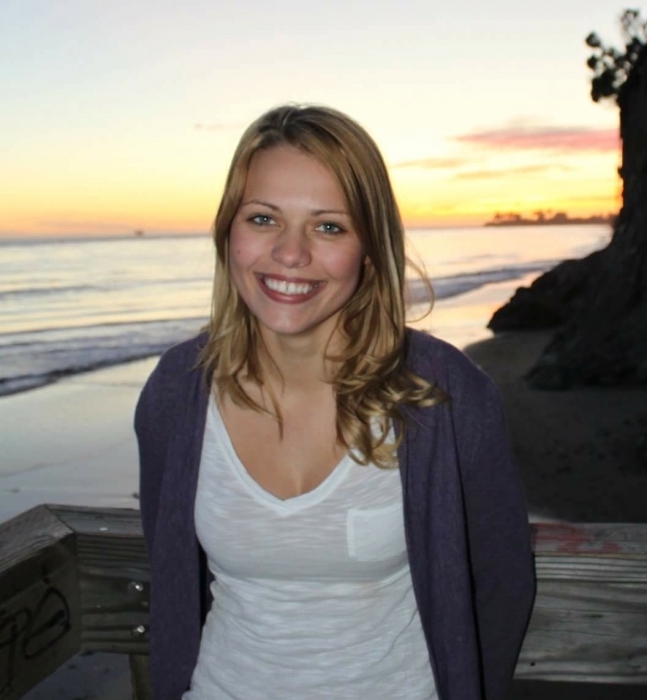 At UCSB, Lindsey is a literacy tutor at the McEnroe Reading Clinic, working with students from Kindergarten to Grade 7. Under the advisement of Dr. Diana Arya, she is researching the processes of language revitalization amongst the North American Indigenous Groups, and how they maintain their cultural identity within today's mainstream society. You can contact Lindsey at lrmottus@ucsb.edu. Ali is a first-year doctoral student working with Dr. Danielle Harlow. She received her B.S. in Ecology and Evolutionary Biology from the University of Arizona in 2017. She has worked with informal science institutions for the past 9 years, including The Chandler Museum, Tucson Children's Museum and Biosphere 2. Currently, her research interests are facilitator, curriculum and exhibit development within informal science environments, specifically focusing on aquariums. She would love to receive emails at almuller@education.ucsb.edu. Sos Nazaryan is a second year student in the MA/PhD program interested in afterschool programs, digital storytelling, curriculum design, and design based research. He works closely with mentor and advisor Dr. Betsy Brenner to make an impact at the local level through Club Proteo, an afterschool program he has coordinated since 2014 (and been a part of since 2012) that serves over one hundred local elementary students. He is also currently the Teaching Assistant for an undergraduate course in the Department of Education. His goal is to bridge the gap between research and practice to help create learning environments that keep students engaged and equipped with the skills necessary for a bright future. He received his B.A. in Sociology from UCSB in 2014 and explored parent involvement in two-way dual language immersion programs as part of his undergraduate honors thesis. You can contact Sos at sosnazaryan@ucsb.edu. 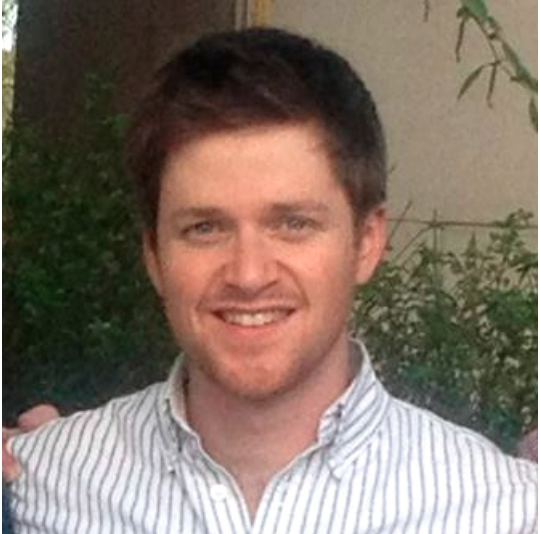 Christopher is a second-year doctoral student in the Education Policy Group, working with Dr. Michael Gottfried. He earned his B.S. in Human Development from UC Davis and his M.S. in Educational Psychology from UW Madison. Chris' research interests include studying the impacts of community resources and policies on students and schools using mainly quantitative methods. He is currently working on projects involving transportation and attendance, the availabllity of school-based health centers, as well as teacher education through the CTERIN group. Before coming to UCSB, he taught 4th and 5th grade for the Madison Metro School District in Wisconsin, where he became interested in social justice and restorative practices in an elementary context, as well as in educational technology. Get in touch with Chris at cmsalem@ucsb.edu or via his website: http://christopher.ozuna.me. Fabian Pacheco is a third year doctoral student. As an alumnus of the University of California Los Angeles, he graduated with departmental honors in Chicana/o Studies and Sociology, and is currently working under the guidance of Professor Mireles-Rios. Fabian is a strong advocate for ethnic studies both in the K-12 and college-level setting. 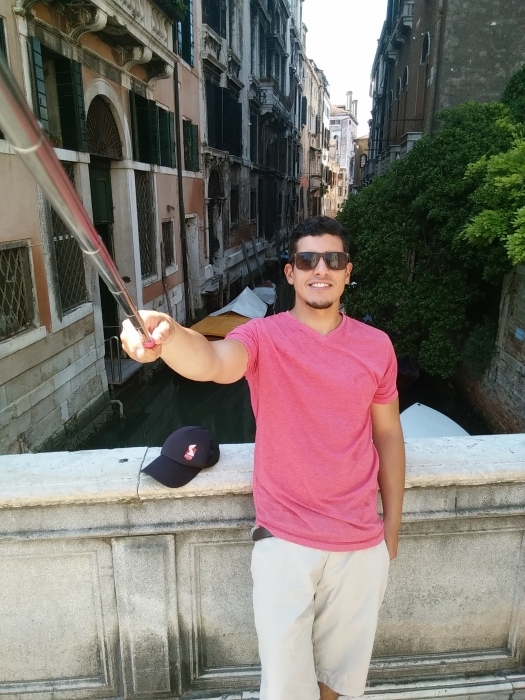 He enjoys being actively involved in his community of Boyle Heights as a mentor and coach. For his MA thesis, he is looking at the racial socialization practices Latino parents engage with their children during a time of anti-immigrant sentiment. Additional research interest include, but are not limited to, access to higher education, creating a college going culture, and examining various aspects of student experiences that impact their educational attainment and pursuit. Currently, he is a teaching assistance in the Department of Black Studies and can be widely reached at fpacheco@education.ucsb.edu. Hui-Ju is a doctoral candidate with an emphasis in Cultural Perspectives and Comparative Education and after-school tutoring program under Dr. Hsiu-Zu Ho. She received a B.S. in Music as well as a Teacher Certificate in primary school level from National Sun Yat-sen University, Taiwan, and a M.S. in Curriculum and Instruction from Kansas State University. Prior to joining the program at UCSB, she worked for a nonprofit organization which provides an after after-school tutoring program to primary and junior high school students with low socioeconomic status and indigenous students in remote regions. 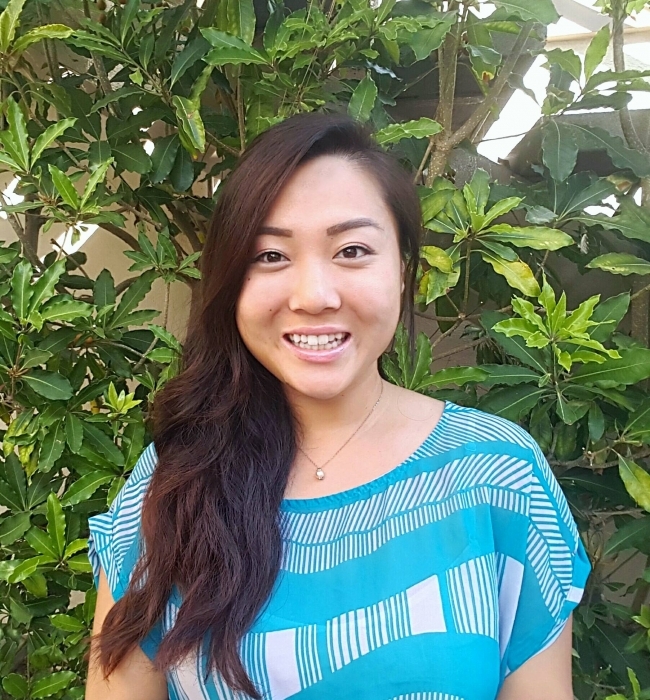 Recently she is undertaking her dissertation research aiming to explore how a community-based after-school tutoring program executed by the primary and middle schools of two Taiwanese indigenous Atayal tribes practicing family-school-community partnerships. Hui-Ju may be reached at: huiju@ucsb.edu. Kaitlynn is a second year doctoral student with an emphasis in Special Education, Disability, and Risk studies. Her faculty advisor is Dr. George Singer. She earned a B.S. in Special Education from South Carolina State University in 2014 and a M.S. in Special Education with an emphasis in Autism Spectrum Disorders from Florida International University in 2016. She is a clinician at the Koegel Autism Center, where she works with individuals with Autism Spectrum Disorder and their families in teaching them the strategies of Pivotal Response Treatment (PRT) and other evidence based practices. Her interests include improving the cultural relevance of interventions for children with Autism Spectrum Disorders, specifically in the area of parent education and treatment acceptability for underserved populations. 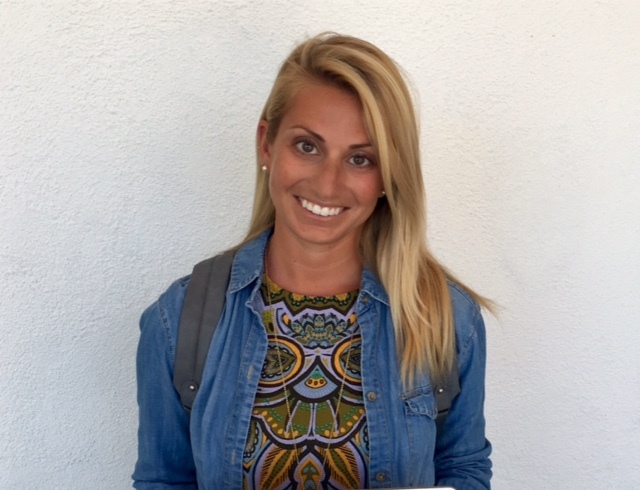 Kaitlynn can be reached at kpenner@ucsb.edu. Samantha Poyser is a third-year student with an emphasis in Special Education, Disabilities, and Risk Studies. Her faculty advisors are Dr. Robert Koegel and Dr. Ty Vernon. After receiving her B.A. in Psychology and Anthropology from the University of California, Santa Barbara in 2015, she worked as a Program Coordinator for the Boys & Girls Club before returning to UCSB for her doctorate. She is a clinician at the Koegel Autism Center, where she provides evidence-based treatments to children and adults on the Autism Spectrum. Her research interests include academic motivation for children with disabilities, as well as collaborating with stakeholders in education to create more inclusive educational and community settings for students with disabilities. Samantha can be reached at Spoyser@ucsb.edu. I’m Javier Pulgar (jpulgar@education.ucsb.edu) a third year grad student in Science Education, with emphasis on physics education. My advisor is Dr. Danielle Harlow. Currently I’m working in my second year research project, which consists in studying collective creativity and problem solving. The purpose is to develop a model that allows us to understand how effective and original groups might be in creating/designing solutions to particular problems in physics. Additionally, I’m interesting in developing instruments to measure individual divergent thinking in the context of physics problem solving, and the dimensions that this may involve. Due to my experience teaching physics in a Chilean university (Universidad del Bio Bio, in Concepcion, where I come from), my research interests are oriented towards college students. Bertin Solis is a Ph.D. student in the Department of Education at UC Santa Barbara with an emphasis in Culture and Development. He earned a BA in Sociology and an M.A. in Education from UC Santa Barbara. His doctoral research investigates how community college Latinx students develop aspirations for college and careers and how they experience the transition to a 4-year public research university. He employs a sociocultural perspective to understand how cultural resources, values, relationships, and challenges operating in students' lives support or hinder their educational progress. Bertin is also interested in the following research areas: academic achievement and motivation, higher education access and completion of historically underrepresented students, mentoring practices, critical pedagogy, and the civic engagement and literacy practices of immigrant populations. Bertin can be reached at: bertin@ucsb.edu. Alexis Deidre Spina is a third year doctoral student with an emphasis in Math Education and is working with Dr. Sarah Roberts. She received her B.A. in Physics Education from the University of Delaware in 2007, and her M.Ed. in Curriculum and Instruction in Secondary Science Education from the University of Delaware in 2009. Prior to starting her PhD, Alexis taught high school math and science for ten years. Currently, her research interests are professional development for in-service mathematics teachers and preparing pre-service mathematics teachers. Alexis is a member or our GSAE, a CTERIN fellow, and teaches with our TEP program. You can reach her at adspina@education.ucsb.edu. 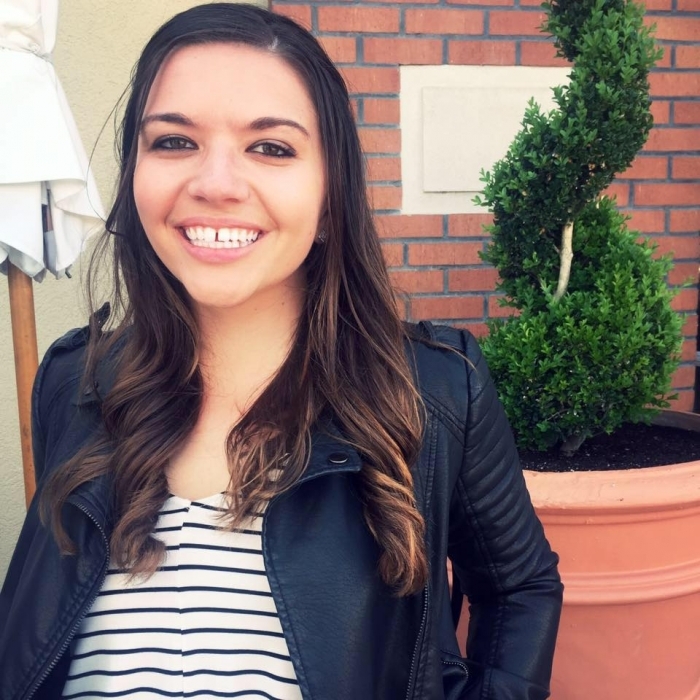 Chelsea Tanous is a fourth-year doctoral student with an interdisciplinary emphasis in Language, Interaction, and Social Organization (LISO) working with Dr. Amy Kyratzis. Chelsea received her B.A. in French and Spanish at the University of Southern Mississippi in 2011, after which she spent one year working as an interpreter and translator while teaching a high school French independent study course. She received her M.A. in French and Applied Linguistics from the University of Alabama in 2014, where her thesis research project explored the communicative strategies of undergraduate and graduate students of French in classroom and informal contexts. Her current research focuses on issues in second language learning, including language socialization, intercultural communication, issues of culture and community, and the negotiation of identity in interaction. Chelsea currently teaches French language courses through the Department of French and Italian at UCSB and works as an instructor in the McEnroe Reading and Language Arts Clinic. She can be reached at ctanous@education.ucsb.edu. To review Chelsea’s current research and teaching projects, please visit her website at: https://chelseatanous.com/. Valerie is a doctoral student in the Department of Education, with an emphasis in Teacher Education and Professional Development. Her advisor is Dr. Julie Bianchini. Valerie received her B.A. in Sociology from the University of California Berkeley, and her M.A. in Curriculum and Instruction from the University of the Pacific. Her research interests include teacher preparation program evaluation and the effects of practice-based professional development for pre-service teachers. Valerie is also interested in the development of rapport between teacher and students and its role in creating an inclusive learning environment, as well as its effects on student achievement. Prior to attending UC Santa Barbara, Valerie worked as a second and third grade teacher in Sacramento and as clinical faculty with Alder Graduate School of Education. Valerie is currently teaching a literacy course in the teacher preparation program at Antioch University Santa Barbara. She can be reached at valerievaldez@ucsb.edu. Tiange Wang is a doctoral candidate in Education, working with Dr. Jin Sook Lee, and she is enrolled in the Applied Linguistics interdisciplinary emphasis. She earned her B.A. degree in English Language and Literature and an M.A. degree in Linguistics from Beijing Normal University, China. She started her doctoral studies in the year of 2013 and her research interests include bilingualism, heritage language maintenance and second language acquisition. Her current research project examines the curriculum and its implementation in a Chinese-English Dual Language Immersion school. Tiange may be reached at: twang@education.ucsb.edu. Melissa Gordon Wolf is a doctoral student focusing on quantitative research methods under the guidance of Dr. Andrew Maul. Her primary focus is on the measurement of ontologically subjective attributes and the validity of the scales designed to assess them. Methodologically, she is interested in latent variable and psychometric analyses (SEM, mixtures, IRT), atypical approaches to measurement (such as network analysis), and research design. She is currently working on projects related to invalid and deceptive responses on surveys, the nature of constructs (kinds vs continua), cut scores, and evidence for validity based on the response process. When Melissa isn't doing research, she can typically be found at Dog Beach (a beautiful, off-leash Santa Barbara beach full of puppies - it is as wonderful as it sounds). She can be reached at mgordon@education.ucsb.edu. Jing Yu is a third-year doctoral student in Department of Education with an interdisciplinary emphasis in Applied Linguistics advised by Dr. Diana Arya. She received M.A. in TESOL from the Ohio State University in 2015. Her research interests include: second language socialization, academic discourse socialization as well as ‘third space theory’ in intercultural communication. She majorly looks at the languaculture socialization of international Chinese undergraduates within the US higher education, including academic challenges, social interaction and cultural adjustment. Specifically, she focuses primarily on how social identities and cultural practices are brought into being through students’ linguistic interaction in the classroom. Ethnographic methodology has been adopted to investigate what cultural knowledge and practices may support or challenge Chinese international students’ experiences during their process of adaptation in a new learning milieu. She can be reached at jyu@education.ucsb.edu.